Little, Brown Books for Young Readers, 9780316985598, 224pp. Imagine if all your personal thoughts about crushes, fears, enemies, and even kissing practice ended up on the Internet for everyone to read. 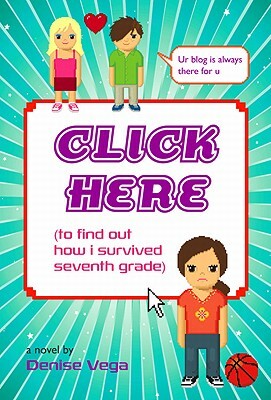 That's what happens to Erin Swift when her super-secret blog and all of her musings on navigating the treacherous waters of seventh grade--including her feelings about herself, her best friend Jillian, her crushes, and growing up--are accidentally uploaded for the whole school to see! Written with warm, knowing humor, this story perfectly captures seventh grade life. Denise Vega wrote her first children's book when she was twelve years old. Her short stories have been published in a number of children's magazines including Spider, Highlights and Pockets. She is also the author of Access Denied (and other eighth grade error messages) and Grandmother, Have the Angels Come? Visit Denise online at www.denisevega.com.